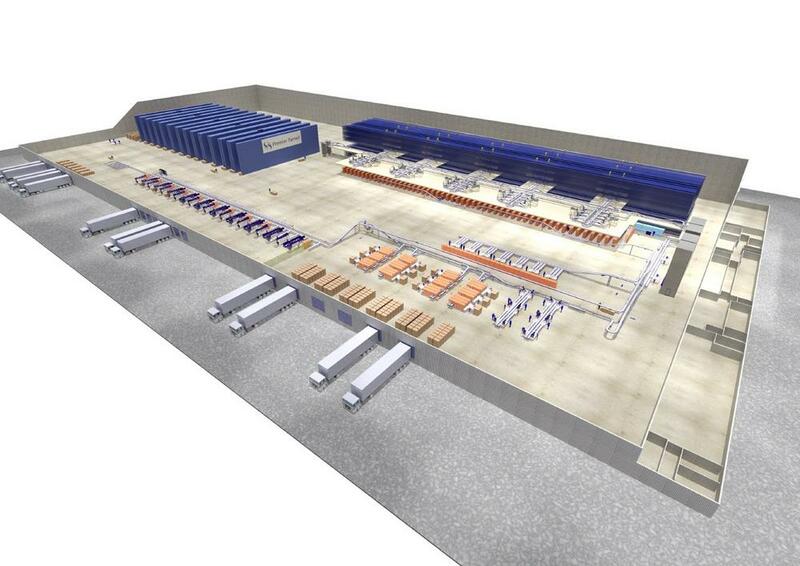 SSI Schaefer, one of the global market leaders and innovators in the intralogistics sector, is pleased to announce it has signed a contract with global technology development distributor, Premier Farnell, to equip the company’s new Leeds Distribution Centre with a state-of-the-art order fulfillment solution. Construction work commenced on the high-quality 361,000 square feet distribution unit at Muse Developments’ flagship Logic Leeds site on 29th March. The distribution center project, which will be the largest ever warehouse development in Leeds, is scheduled to be completed by the end of the year. The main contractor is Derbyshire-based Bowmer and Kirkland and the site is expected to be fully operational by late 2019 / early 2020. SSI Schaefer has been working closely with Premier Farnell for nearly two years to develop a solution which will enable Premier Farnell to meet considerably increasing business demands, while delivering a high return on investment. At the heart of the fully integrated solution is SSI Schaefer’s highly efficient Navette Matrix System, which operates alongside vertical lift storage machines and conveyors backed up by conventional shelving and pallet storage. All elements of the solution are controlled by SSI Schaefer’s WAMAS® warehouse management system and processes have been designed to consider the nature of the product and the current regulations governing its handling and storage. The SSI Schaefer Group is the world’s leading provider of modular warehousing and logistics solutions. It employs approximately 10,500 people at its group headquarters in Neunkirchen (Germany), at more than ten domestic and international production sites, and at approximately 70 worldwide operative subsidiaries. Across six continents, SSI Schaefer develops and implements innovative industry-specific answers to its customers‘ unique challenges. As a result, it plays a key role in shaping the future of intralogistics. SSI Schaefer designs, develops and manufactures systems for warehouses, industrial plants, workshops and offices. Its portfolio includes manual and automated solutions for warehousing, conveying, picking and sorting, plus technologies for waste management and recycling. In addition, SSI Schaefer is now a leading provider of modular, regularly updated software for in-house material flows. Its IT team, with a headcount in excess of 1,100, develops high-performance applications, and provides customers with in-depth advice on the intelligent combination of software with intralogistics equipment. SSI Schaefer’s broad IT offering, including its own WAMAS® and SAP products, delivers seamless support for all warehouse and material flow management processes. Solutions from SSI Schaefer improve the productivity and efficiency of customer organizations – not least through the highly precise monitoring, visualization and analysis of operational metrics for proactive intralogistics management. SSI Schaefer offers highly sophisticated, turnkey systems. As an international player, it can deliver one-stop solutions to all four corners of the earth. Its comprehensive portfolio encompasses design, planning, consulting, and customer-specific aftersales services and maintenance.